that way we can all together Unite against Animal Cruelty. @animalhopeandwellness “Are fighting to end the brutal practice in Asia of torturing dogs before slaughtering them for meat, out of the misguided belief that tortured dog meat tastes better or can provide health benefits. Due to a widely held belief that high adrenaline levels will produce tender meat and increase the supposed health benefits.Dogs are sadistically made to experience extreme fear and suffering prior to death. They are tortured, dismembered, burned alive, electrocuted, crucified and nail gunned into walls, where they are tortured and kept alive to endure intolerable pain for sometimes up to 40 hours. Many of the toy breeds are boiled alive and then made into herbal supplements. Marc Ching has seen and video taped all of this first hand and even witnessed a dog strung up and burned alive with a blow torch right out in public at a local market where passersby were completely unfazed. 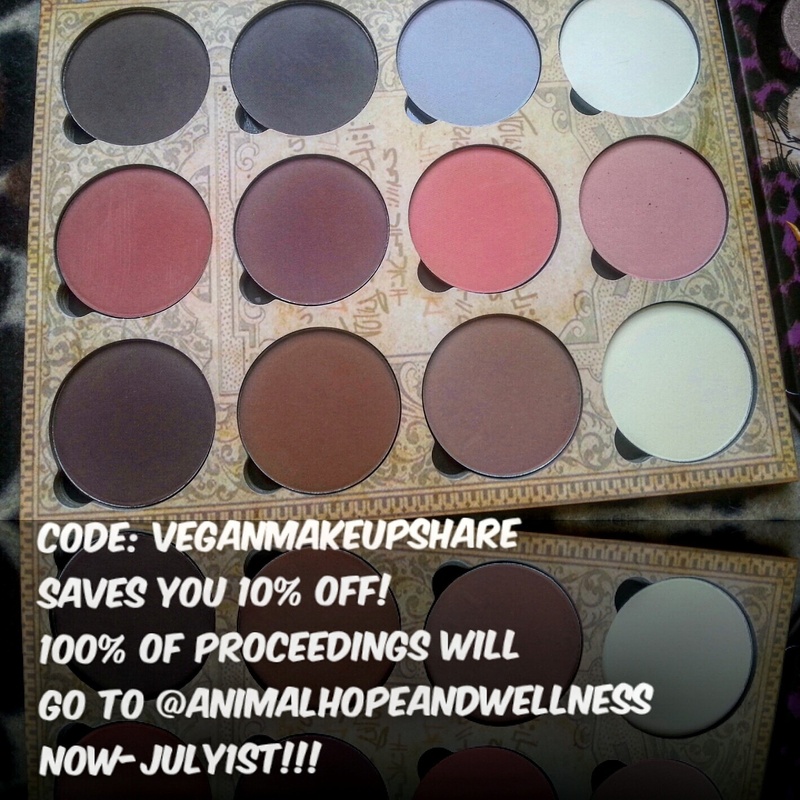 Code: Veganmakeupshare for 10% off& 100% of proceedings will be donated! 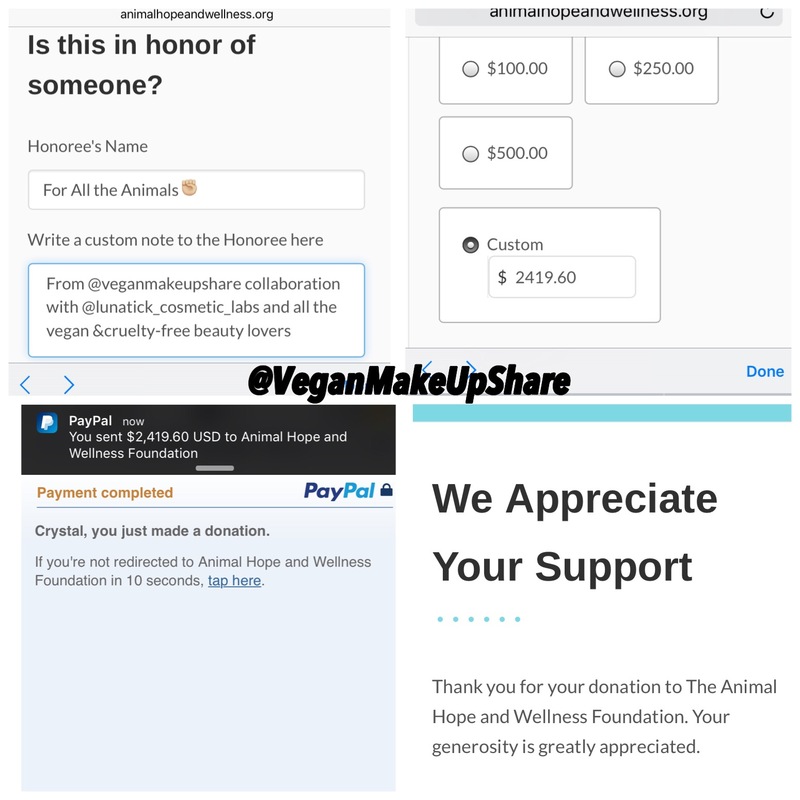 As always I will be transparent with everyone and as soon as July1st ends LCL will be sending me the reports and money and I will be donating it immediately to Marc Ching from Animal Hope and Wellness foundation. Thank you Soooooooo much!!! Love you lots💕 ♦️Update: Fundraiser has ended Thank you everyone who participated in this collaboration!!! I sincerely greatly appreciate it!!! Together we were able to raise the total amount of➡️ $2,419.60!!!!! The donation has taken place this Sunday!! !